Our PhD student Akbar Shabir has taken enormous strides towards a distinguished career in academia after his undergraduate study into performance led to postgraduate research into the psyche of footballers. 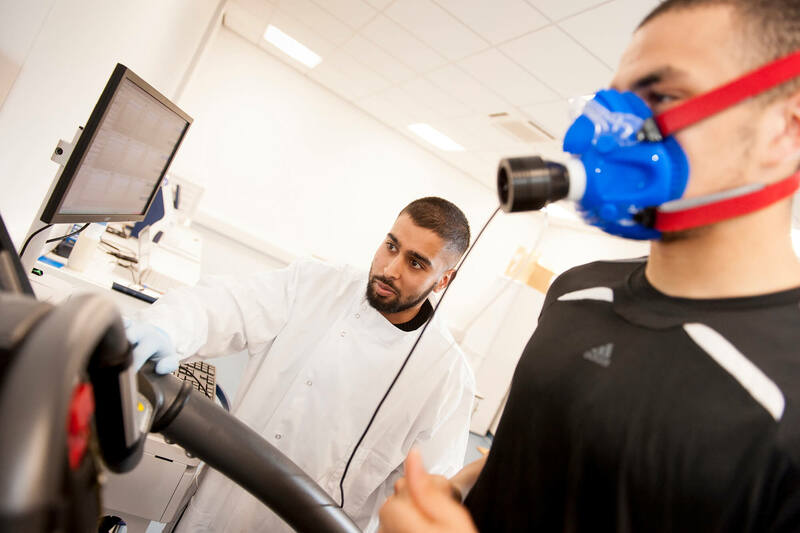 As part of our BSc (Hons) Sport and Exercise Science degree, Akbar conducted experimental trials with high-intensity cyclists for his independent study. To investigate the effects of expectancy on sport and exercise performance, he used a placebo to mimic a nutritional supplement. Before exercising, the cyclists were told that the supplement would increase their exercise capacity. The findings suggested that, for some participants, these expectations enhanced their performance. 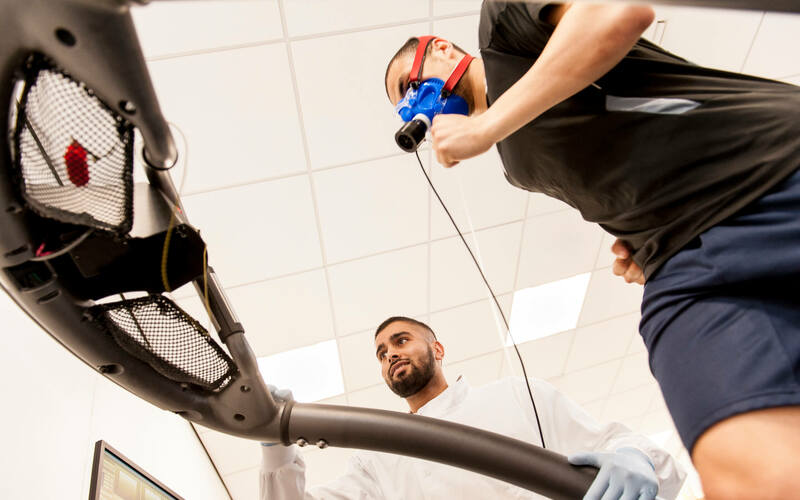 Akbar worked with Dr Matt Higgins, Senior Lecturer in Sport and Exercise Nutrition at the University of Derby, to advance and support his study. Their conclusions have added to the ongoing debate about whether psychological techniques can be as important as physiological adaptations in improving sport performance. These findings were subsequently showcased in the peer-reviewed journal, Applied Physiology, Nutrition and Metabolism. This success was the spur for Akbar to embark on a PhD at the University. Continuing his interest in psychological performance enhancement, Akbar’s PhD focuses on the effects of caffeine on simulated performance in football, endurance capacity and mood states. “It is important to acknowledge the effects that ergogenic supplements such as caffeine may have on the psyche of individuals, as opposed to just their physiological impact,” he explains. His BSc gave him the chance to discover an enthusiasm for laboratory-based practical work but it was the opportunity to engage in research which ignited his aspirations to pursue a future in the academic world – and added a whole new dimension to his CV. “The chance to undertake a research project via the independent study module really enables you to stretch yourself as an undergraduate,” says Akbar. “The time I spent collecting real-life data in an applied environment was invaluable. There was a real sense of achievement in finding meaningful results and I was delighted when they turned out to be of publishable standard. 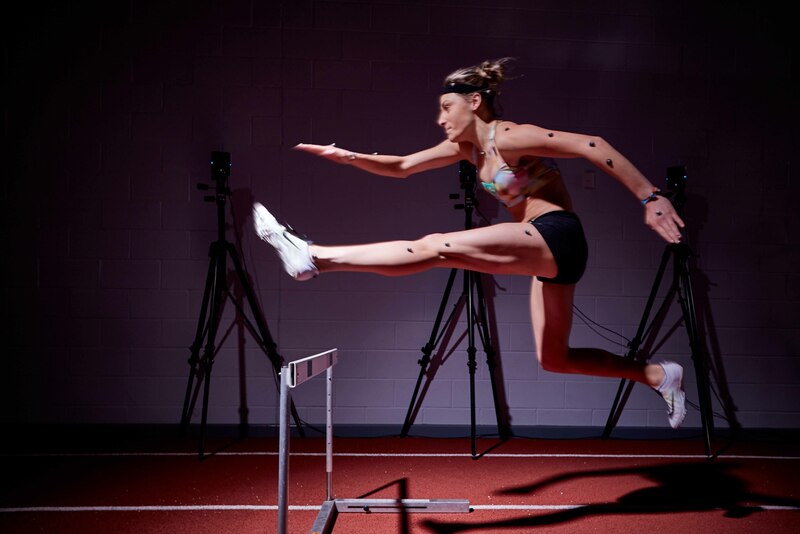 Whether you aspire to become a sport coach, performance analyst or a health adviser, we deliver high-quality, applied programmes that will get your career off to a flying start.